The other day I was at CVS trying to pick up a prescription, but alas, the pharmacy had closed. Of course I had to check out the makeup aisle, even though this particular CVS has an abysmal one. Lo and behold I saw these new glosses! 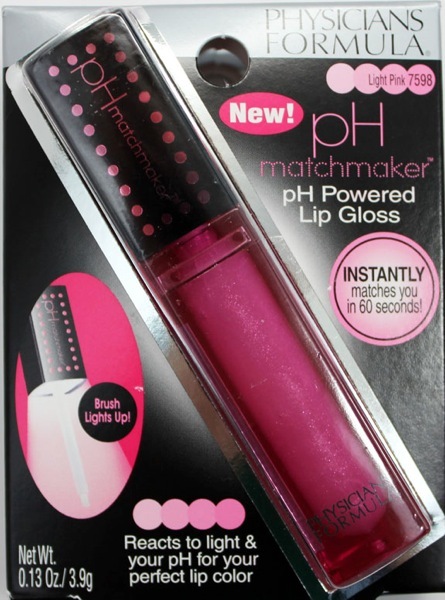 Physicians Formula pH Matchmaker pH Powered Lip Gloss sounds all science-y doesn’t it? Normally that completely turns me off, but since it’s related to makeup I decided to give them a whirl! 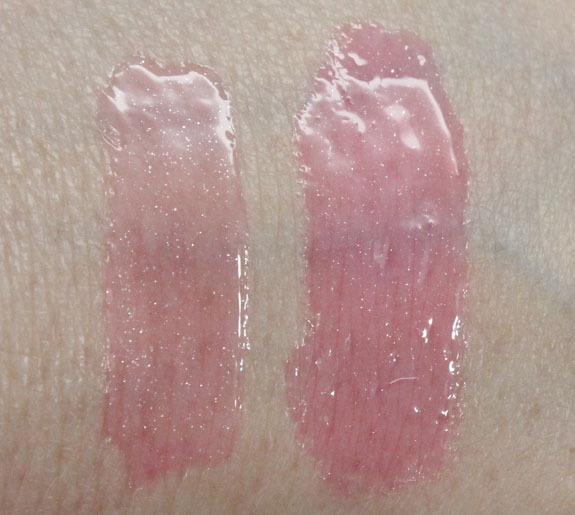 As far as I can tell these glosses only come in two shades: Light Pink and Pink. What the heck are they though? Basically they have a dye in them called Fluorescien Based Dye which senses the pH levels in your lips and adjusts the color to your perfect shade within 60 seconds. They also have Photocromic Powders which help keep the shade the same color whether indoors or outside. 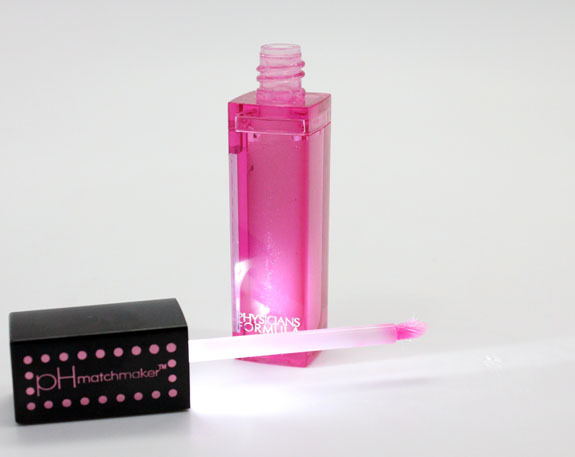 Also included in these fancy-schmancy lip gloss tubes are a mirror on the backside (super handy) and an LED-powered light in the applicator! Ok so here’s the deal. This is what the colors look like on my hand after fully developing. Light Pink is a pale pink with silver shimmer. Pink is a deeper pink with silver shimmer. Then I decided to re-swatch them as fast as I could snapping photos as the color develops. As you can see these are super shiny glosses. Very wet looking, and pretty non-sticky to boot. While Light Pink was pretty sheer I really liked the way Pink looked on me. Fun! I like that these self-adjust, I think it’s kind of cool. The colors are pretty, they are very glossy, and I love having a mirror built into the tube. Availability: CVS, Physicians Formula, Ulta. Would you check these out for the price? These are kind of crazy- the fact that the wand lights up amazes me. Actually, I might pick one up for the novelty of it. It’s a bit of a conversation piece. I do really love the addition of a mirror on the tube- sometimes I hate having to go find a mirror so I can re-apply my lipgloss/stick. Good idea! Yes, I love the mirror also, so convenient and much less obvious than a compact. 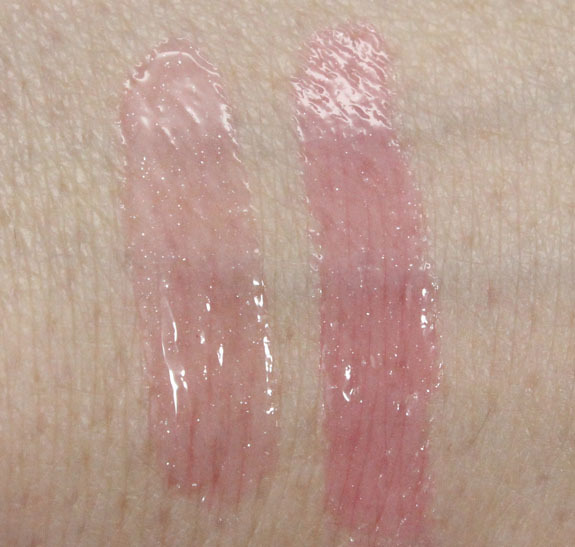 I wanted to add that I was just at the drugstore and saw advertisements for Lise Watier brand lip gloss and nail lacquer that features light up caps for improved application. Kind of interesting that I came across this right after seeing this post. Heh. I’m less sure about the utility of a light in the nail polish applicator (I usually apply my lacquer in an area that is already well lit!). Who knows? Maybe it will be a new trend. wow that really works? I never believe that kind of statements, but now that you tried it, it makes me curious! The mirror and the light are great ideas too!! Do they have any scent/flavour? It worked! There isn’t a HUGE change in color for me, but it’s definitely there. I wonder how these will look on someone else! Totally right, you have to sit in perfect weather and lighting and not move your lips for 10 hours, haha. The little mirror in the back is a brilliant idea. I like the colors too. You are right. They are fun. PS. Thanks for channeling The Flash so you could show us the colors as they develop! Awesome! This totally reminds me of Model Co. (an Australian brand) lipglosses with the light-up lid. I got one of theirs a few years back and it was a major conversation starter, as well as being handy! These PF are a lot cheaper, but the colors seem a little ‘meh.’ I’ll have to think about it before I buy. The packaging on these look really cheap. I don’t like mirrors on my products (what if it breaks in my purse O.O) plus it looks very cheap to me. And the color just isn’t there. Still want some of their blushes though and maybe eyeliner. Hey kelly! 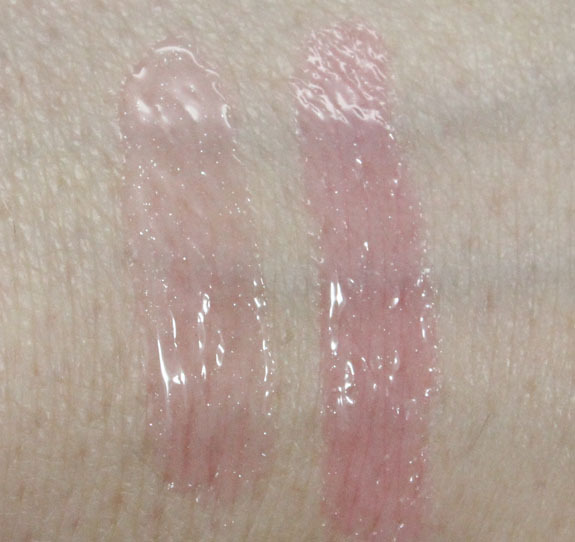 Did you notice a difference and the gloss changing when you first put it on your lips and minutes after? Yep, it did the same thing as on my hand. Okay, I was dying to see your review on these, because I picked one up and wanted to know if you’re result was the same. That “light pink” shade? 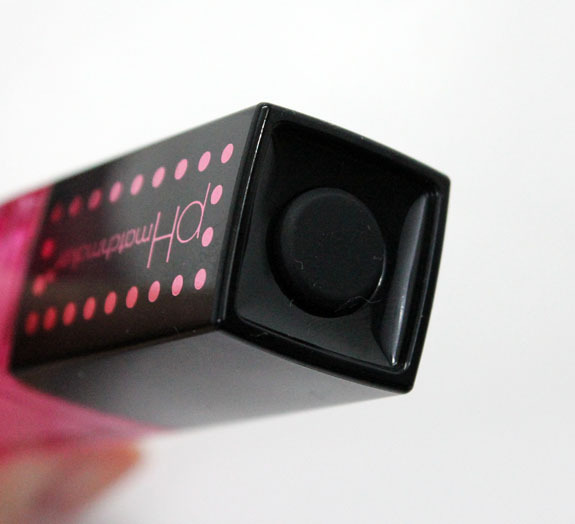 It turns BERRY on me – darker than the “pink” shade on your lips. It’s almost unwearable (I like lighter shades). And the 10 hour claim I might almost believe, too. 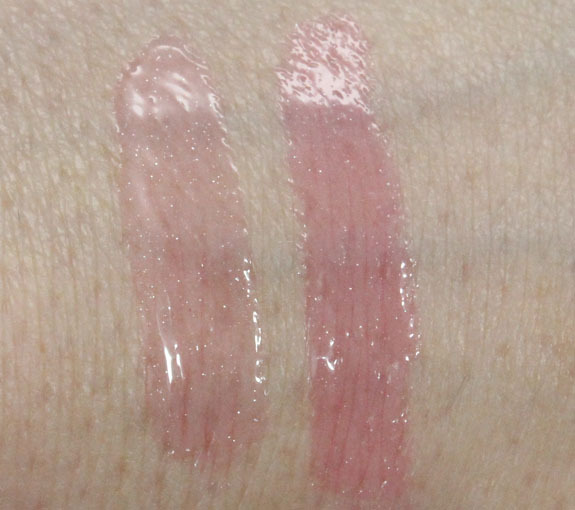 When I swatched mine on my bare hands and lips, it had stained like crazy after fully developing the color. I bought mine mostly for the LED and mirror (too cool), but the color effect is so bizarre. I wish they would have just left that part out! That is so totally cool! It sounds more like it kinda oxidizes but either way that looks pretty snazzy. I wonder how the color would look on me since I’m a deep brown…Hmmm… off to CVS! Anyway, I like the feel of it, but mine ends up turning quite a bright pink on me. 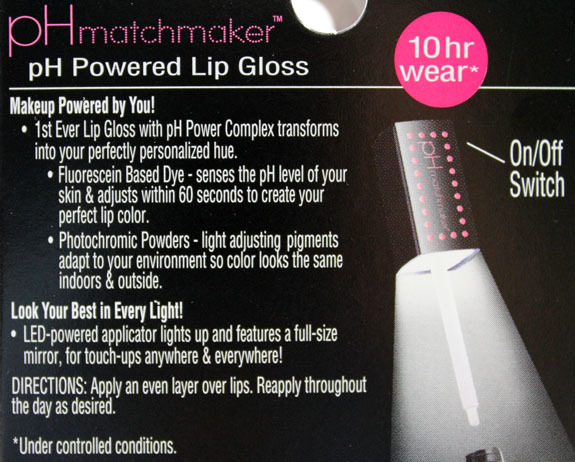 Perhaps the pH magic within it knows I have very pigmented lips and it would not have been seen otherwise? Not much color to them. I don’t think I’ll be buying them. Do they have a fragrance? The last time I bought a gloss from PF I ended up tossing it since the fragrance bothered me. 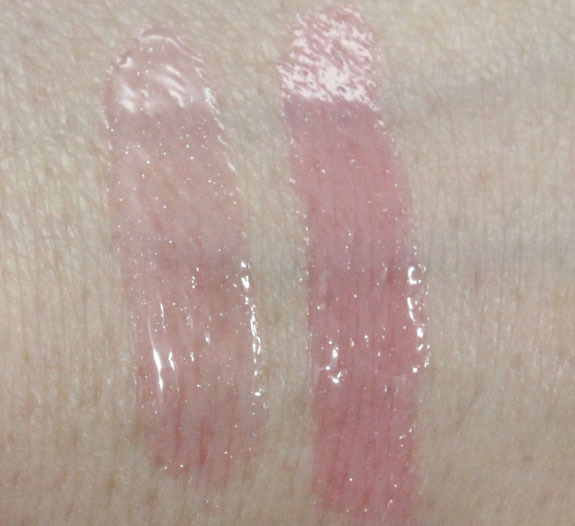 My friend bought the Pink one after I showed her this review and it darkened to a rich magenta/hot pink color on her so much that she had to return the gloss. It was much too bold and weird looking. She bought the Light Pink thinking it would end up being more sheer and it did the same thing to her. She has dark hair/eyes olive complexion. I tried light pink because I’m blonde/blue eyed and really really fair and I wanted to see the difference. It’s a rich deep pink on me. It’s flattering but much much bolder than I anticipated. It isn’t sheer at all! 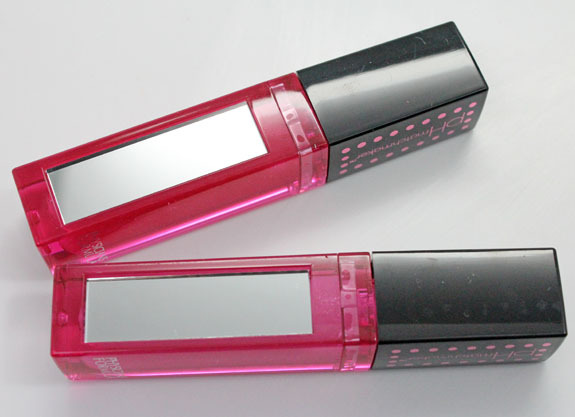 Very similar in color to Stila Dazzling sparkle gloss. This is so interesting! Thanks for showing them as they changed, I think I’ll be trying these out. I love these! I got the pink first and blogged about it, that was before I realized there was a light pink too. I just picked that one up but haven’t tried it yet. I just picked these up today and love them. I bought one at CVS and it spit out a $7.00 coupon on my next purchase so I bought the other color. I am floored how long this formula stays on my lips. I fund if you layer it the pink gets darker and brighter. The mirror and light is pure genius! I will be trying more items from this line. I never tried their stuff, but I am super impressed with this gloss.